If I’d only waited a few more minutes. For then I could have trotted out the old “stands the clock at ten to three?” doggerel, and I’d have had a not-at-all-hoary-and-cliched opening remark all ready made. But no. I’d already loitered a little too long for comfort in the ticket hall of a station a little too empty of people to not draw too much attention to my endeavours. I had to grab what time I could – which, in this instance, was 2.40. 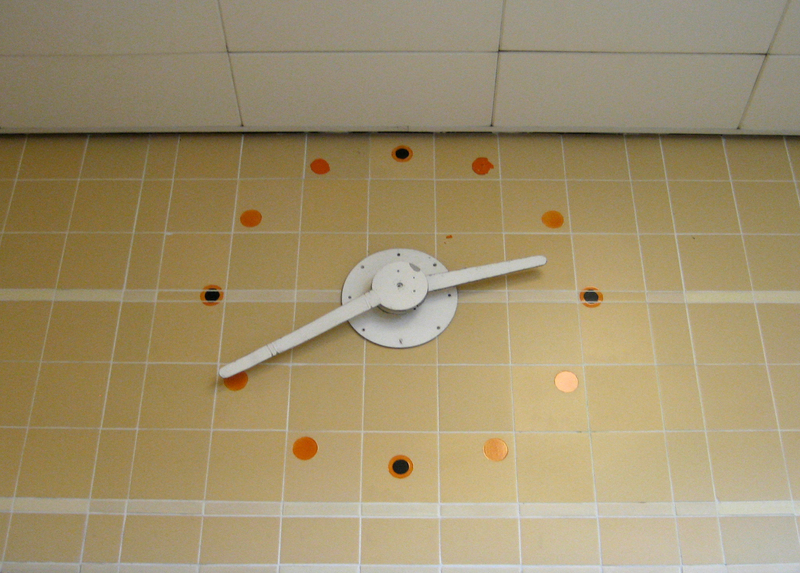 The simplicity and the economy of the clock’s design is entrancing. There’s no room for superfluities like letters or – heaven forbid – numbers, because there’s no point. As I’ve said before, a glance at a clock face is all most of us ever need (or have time for, ahem.) 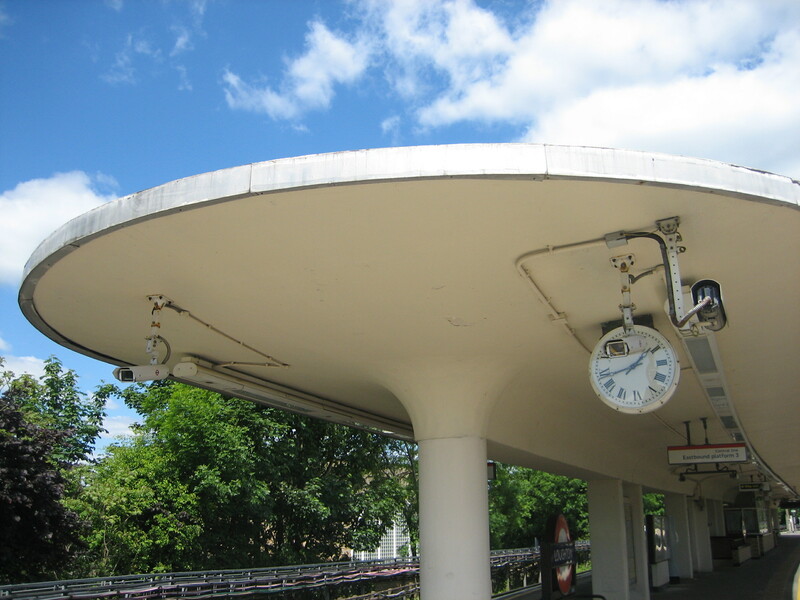 It follows that the essentials of a clock can, if done sensitively, become components of a broader statement, not merely of information but of style. Those small circular daubs of colour: look at them, as John Betjeman would say. 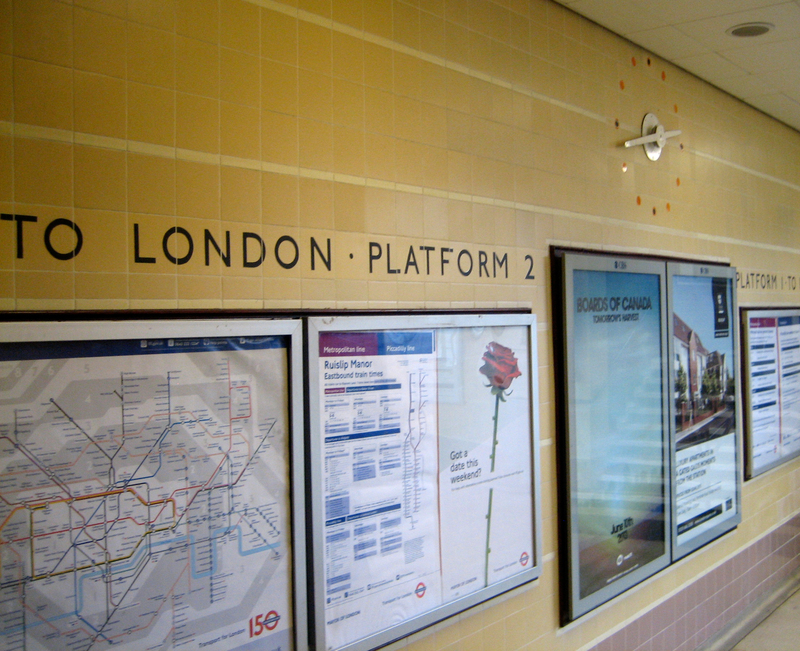 Do you see how they subtly echo the Underground roundel, in particular the ones positioned at each quarter-hour? 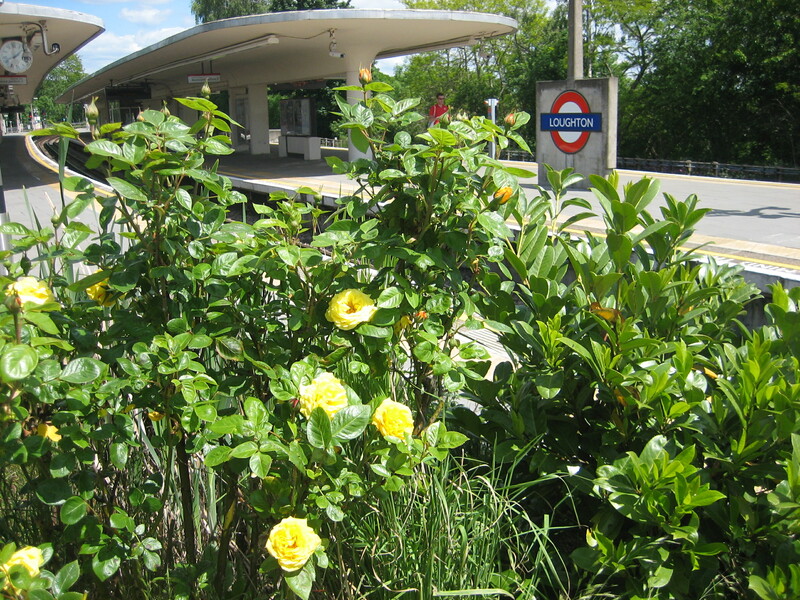 And that stencilled instruction “To London”: surely a reminder of how remote and isolated Ruislip still was when the station was rebuilt in the late 1930s? Perhaps most striking of all is the colour. You don’t get this much cream in one dose in many Underground stations. There’s enough to rival the total tonnage of afternoon teas in Grantchester. 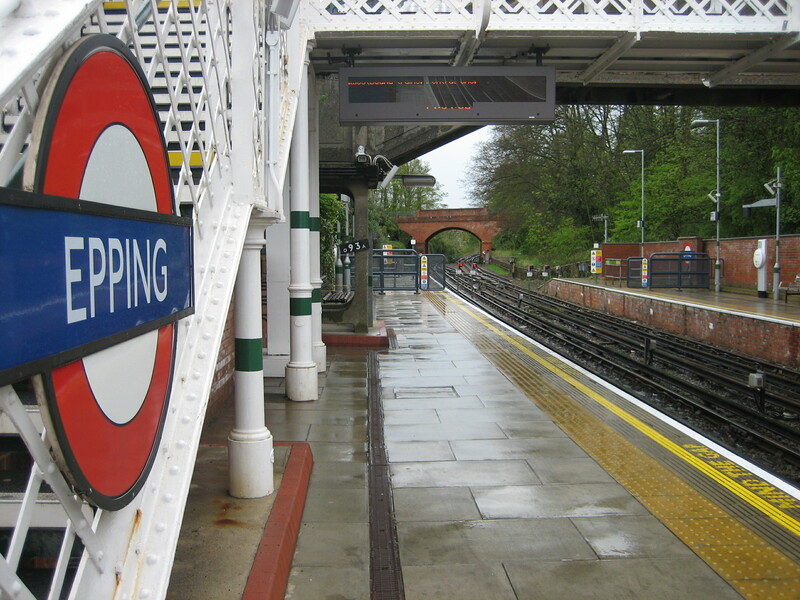 There’s not much that’s great about Epping as a terminus. In fact, it’s lousy. 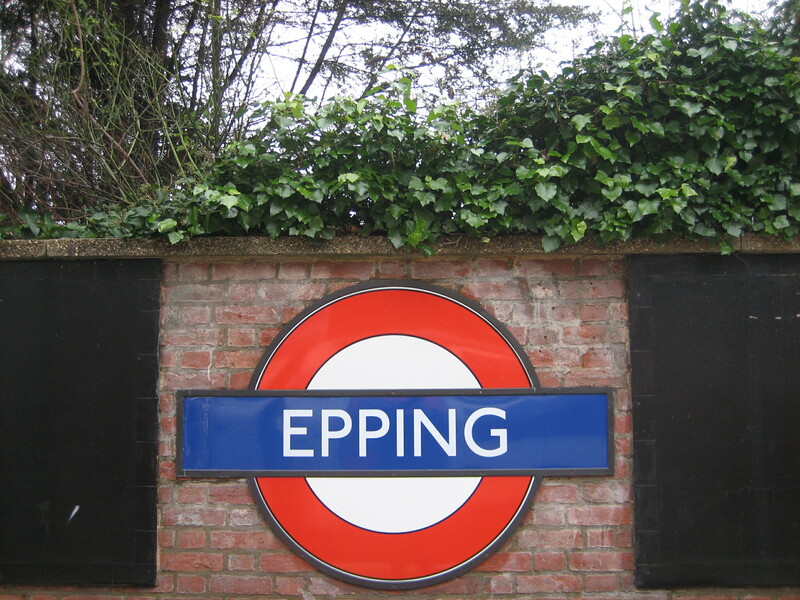 No, what’s great about Epping has nothing to do with its architecture. It’s entirely due to the peculiar yet beguiling sensation it evokes from being the end of the line… but also not the end. 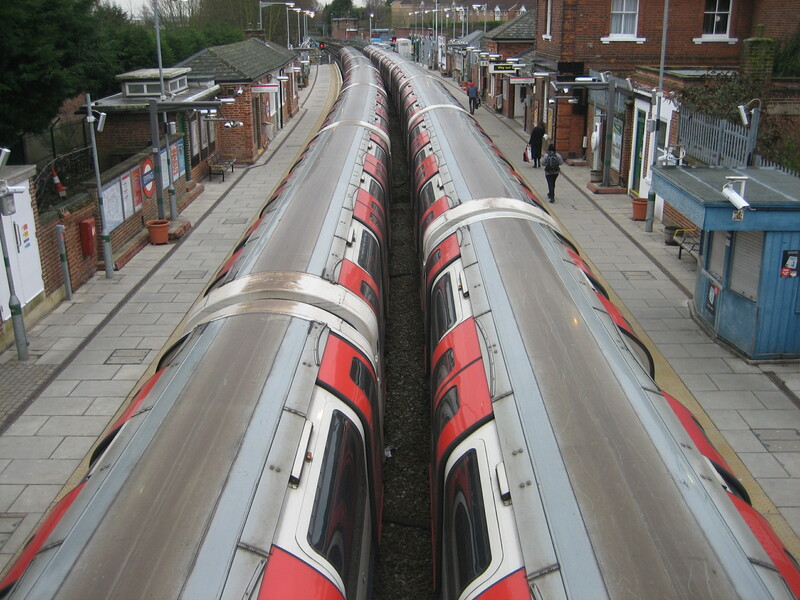 If you linger at the far end of the platforms, you can see the tracks continuing round a corner and under a bridge. They tease you with the thought of what lies just out of view. They also taunt you with a memory of how things used to be. 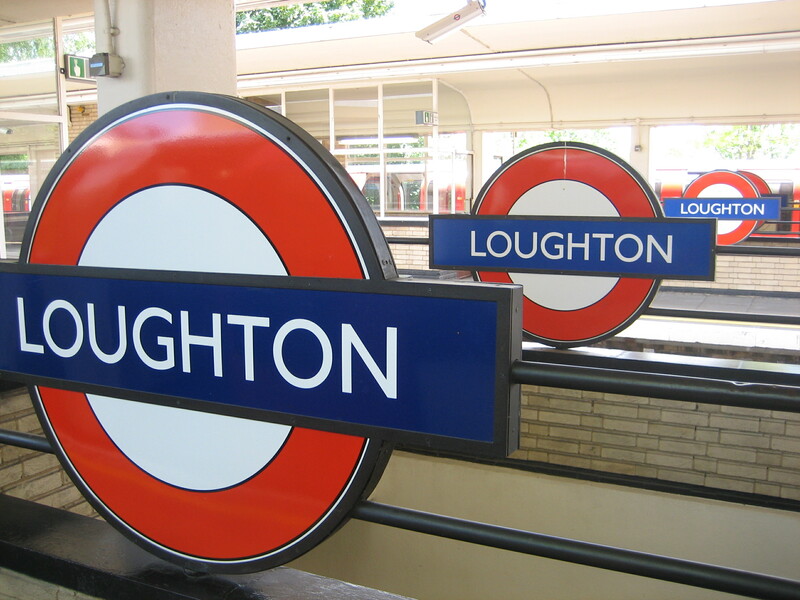 Because not that long ago Central line trains continued down those tracks; the year Tony Blair became leader of the Labour party, for want of a chronological toehold. Now the tracks are just a broken limb of the Underground, severed from the host. Their presence, but also their purposelessness, give Epping that curious, affecting feel of being neither one thing nor the other. 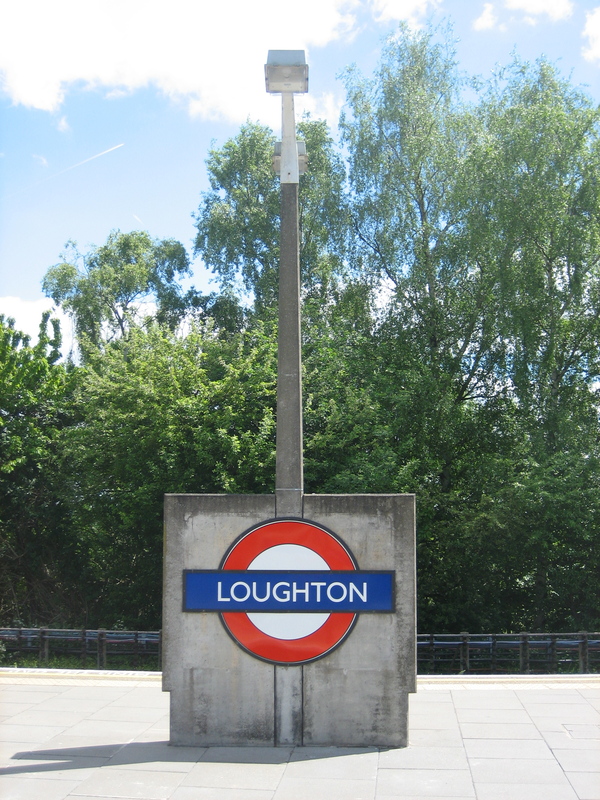 It’s a station of sad sighs and sidings. A terminus that isn’t: like a seaside town out of season. 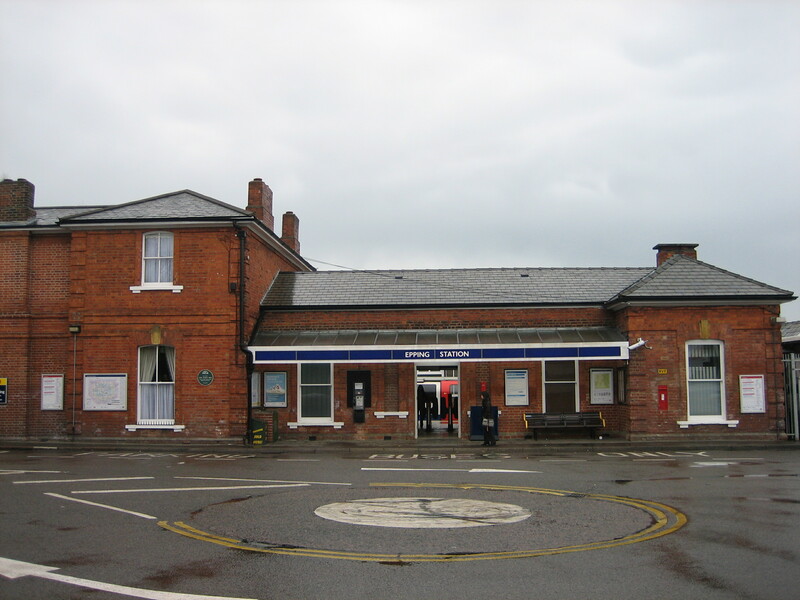 If you like steam trains and packaged nostalgia, an arbitrary chunk of the old “Epping for Ongar” line runs on those days when its private owners think they’ll be enough customers to guarantee a profit. If you like proper heartfelt if hopeless nostalgia, Epping is open all year round except Christmas Day. Its platforms are going nowhere. Rather like its prospects.